Before you begin comparing the different kinds of microdermabrasion products, you should first determine your skin type and the skin problems you want to improve. 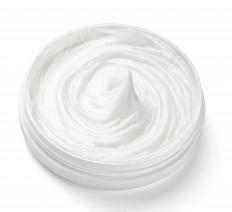 Different dermabrasion creams are designed for different skin types and to produce different results. As is the case with many products, an expensive microdermabrasion cream isn’t always more effective than a less expensive version, and vice versa. Typically, the kinds of ingredients a cream includes helps determine the price of the cream, and your skin type and problems will determine which ingredients you need. Once you’ve narrowed your options, be sure to pay attention to factors like customer reviews and ease of use before making a final selection. A microdermabrasion cream is designed to help with skin resurfacing, and that process can sometimes irritate skin. This is especially true for people who already have naturally dry skin. On the other hand, people with oily-to-normal skin types might not experience as much drying or irritation and might be able to use more potent dermabrasion products. If you’re not sure about your skin type, talk with a dermatologist. Your dermatologist can also give you information about the kinds of microdermabrasion and other products that are best for your skin type.